The best glass of water is the one that’s crisp, cold, and clear. Nothing tastes better than a clean, cold glass of ice water to quench your thirst when you need it most. Everyone knows that you don’t want to just go fill up a cup of water directly from an un-filtered source (unless you want a waterborne illness for some reason). Water needs to be filtered to help eliminate the extra minerals, dirt, parasites, and other contaminants that you don’t want to put in your body. But is there such a thing as too pure when it comes to drinking water? Having some minerals in your drinking water is fine, and can actually be good for you. After the drinking water filtration process, we expect to have some mineral residues left. Ultra pure water can be harmful to your health if you drink too much of it. Below, Advanced Water Solutions will look at what it means for water to be too pure and how it can do more bad than good for your health. What Makes Ultra Pure Water Bad? Ultra pure water has no trace of minerals or anything else other than H2O molecules in it. It’s not that this kind of water is inherently ‘bad,’ but H2O doesn’t like to be ultra pure. Because of the bent chemical makeup of this molecule, it has parts that are positively charged and parts that are negatively charged, making it attract to its neighbors easily, including other types of molecules. If you do drink a glass of ultra pure water, you won’t have an immediate bad reaction, but the water will pull some minerals out of your body. As the pure water flows through you, it will attract molecules that should stay there. Essentially, if you only drink ultra pure water, you would lose many important electrolytes. Pure water acts as sponge and soaks up what’s around it, meaning that if you drank nothing but ultra pure water, the water would drink you back. So what good is ultra pure water if it shouldn’t be used for drinking? What’s the Purpose of Ultra Pure Water? If ultra pure water is not good for you to consume in large amounts, then why is it even being created? One obvious reason is for chemists and other scientists to use when they need completely pure water for a reaction or experiment. Another purpose for this pureH2O is as a super cleaner. 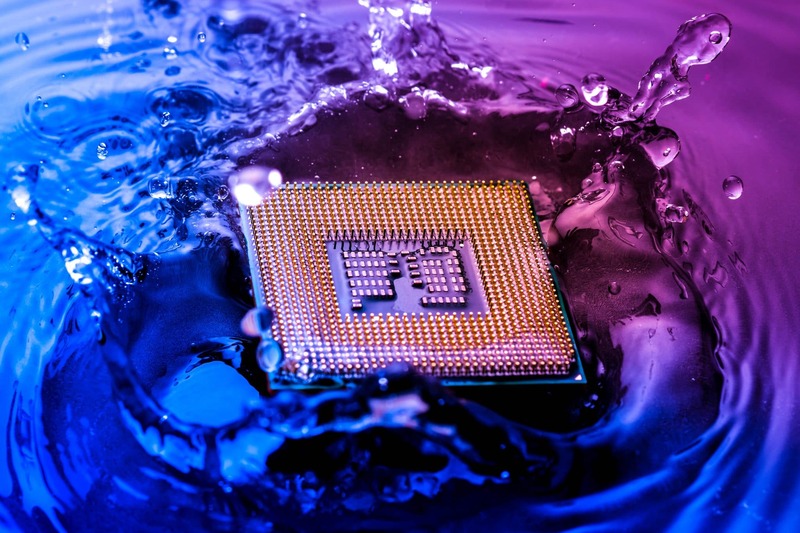 Ultra pure water is created to clean small electronics like microchips. Since the water molecules act as a sponge, it takes in surrounding minerals and debris. What better way to clean these small electronics than with ultra pure water that will go in acting like a microscopic vacuum and sucking up all the dirt and particles? This water is especially helpful for making semiconductors. These are the wafer-like microchips that are used in everything from MRI scanners to the singing greeting cards you find at the store. These chips are built and layered in steps, and each time a step is completed, the chip needs to be cleaned. Using ultra pure water to vacuum up the debris is the best way to ensure that the microchip is completely clean before the next one is layered on top of it. Ultra pure water can be purchased online, but not for the purpose of drinking. If that’s what you’re looking for, then it’s best to stick to the other sources of water you’re probably already using. If you’re concerned about the quality and purity of your water, a filtration system might be your best option. Filters and water softeners remove impurities and contaminants from your drinking water without stripping it of minerals completely. Advanced Water Solutions offers free water evaluations to help you determine if you need more filtration in your home or business – just call 805-385-4740. If you want more information on water filters, check out AWS’s blog that goes over the pros and cons of whole house water filter systems vs pitcher filters!